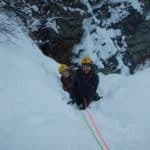 Join one of the IFMGA-certified guides in the Peakshunter team on a unique 1-day ice climbing program in the Aosta Valley with more than 600 different itineraries to choose. 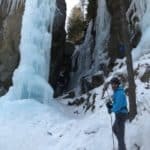 Frozen waterfalls awaits you!!! 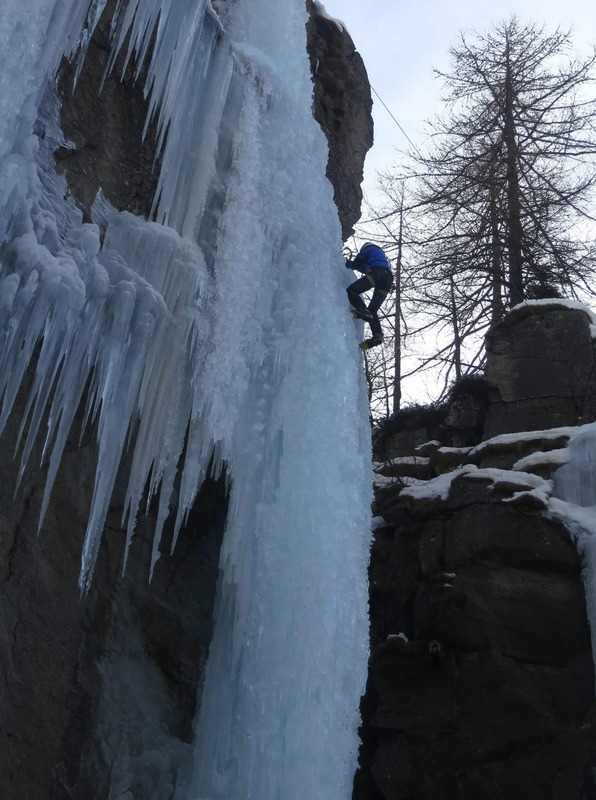 Let’s climb the frozen jewels of Aosta Valley! 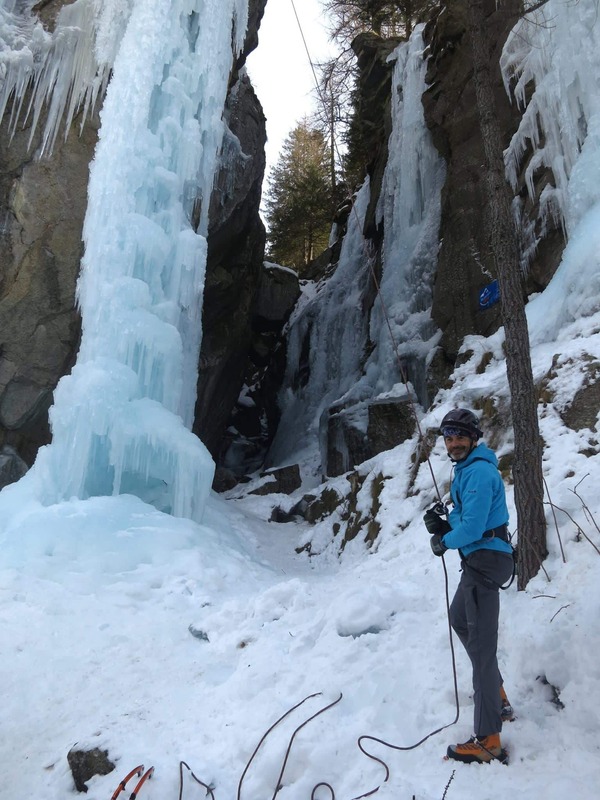 During the winter, the Aosta Valley region give us the chance of conquering more than 600 ice waterfalls. In fact, it’s my favorite season because the Aosta Valley becomes a real frozen park. 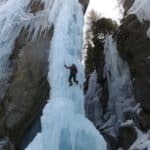 I can offer you a full day with many different climbing itineraries. That way you will enjoy a nice and safe experience according to your technical level and skills. I can take with me only 2 participants since it is an activity which requires constant supervision. 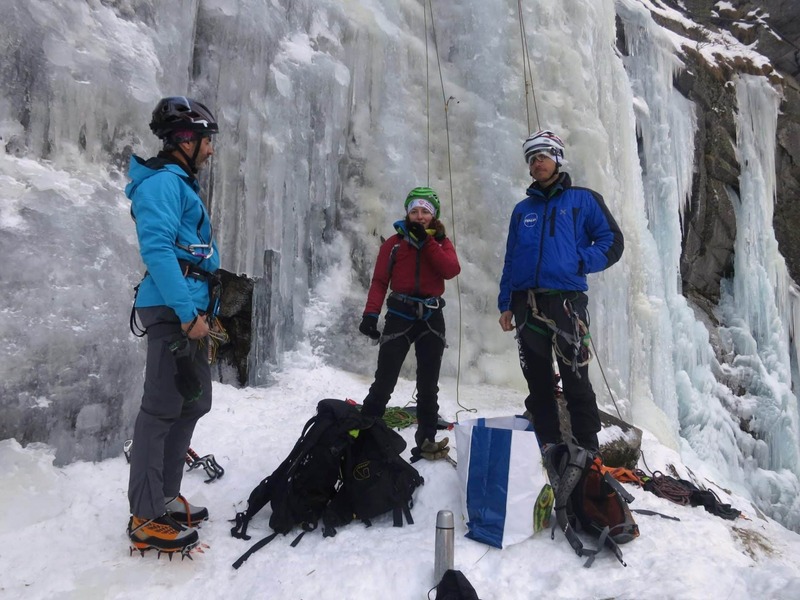 Once we spend such an incredible climbing day in the best frozen walls of the Aosta Valley, we’ll return and have some celebration time eating snacks and having fun together. I can give you more details about this climbing program when you get in touch with me. You can fill out the form now and I’ll answer all your questions as soon as I can. Aosta Valley is waiting for you… And me too! 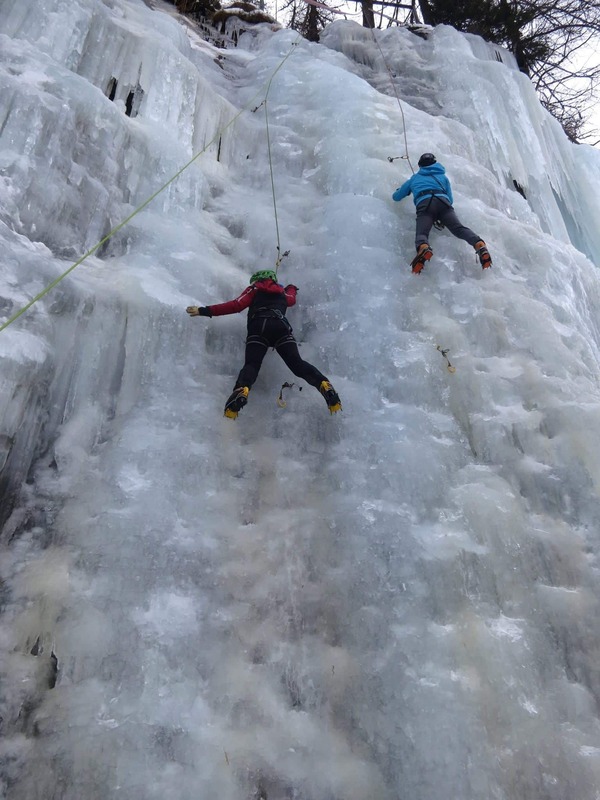 20 Euros/per person for ice axe, harness, crampons and helmet. 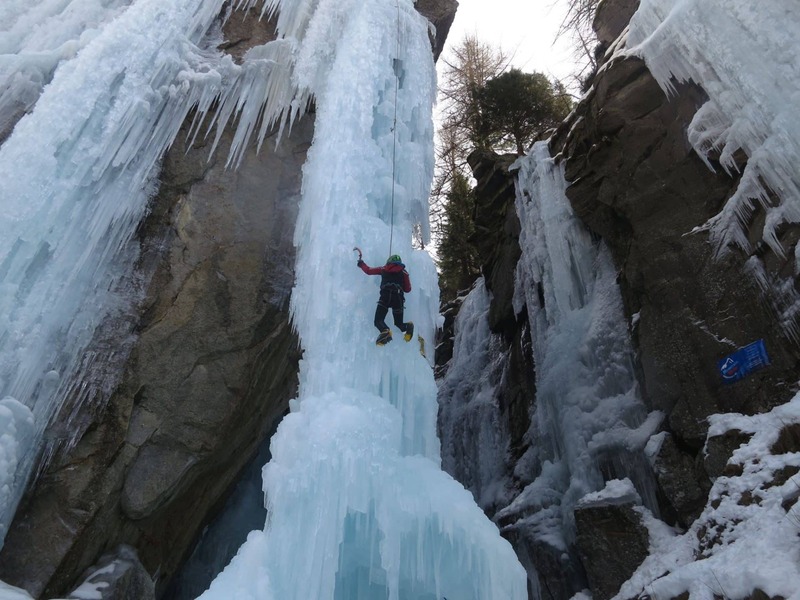 - Research and rescue insurance with IFMGA coverage (recommended): €5 per person. 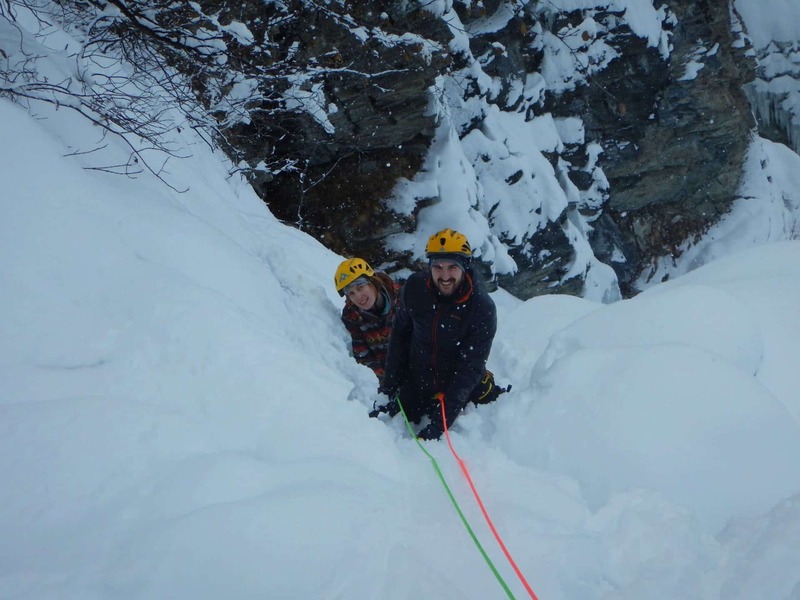 Hiring of any personal equipment (harness, ice axe, crampons and helmet): €20 per person. - Fees for lift facilities and transfers are subject to changes established and applied by they respective owners, without any liability attributable to the mountain guide. The guide reserves the right to change any route or activity program based on weather conditions or participants’ fitness level. 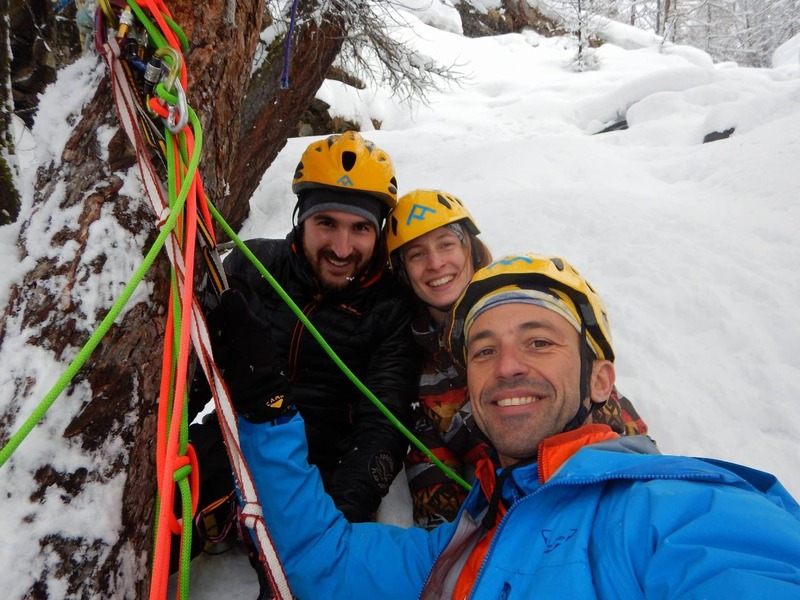 Founded in 2013 by Elis Martis and Silvia Pergami, PEAKSHUNTER is a team of IFMGA-certified mountain guides. 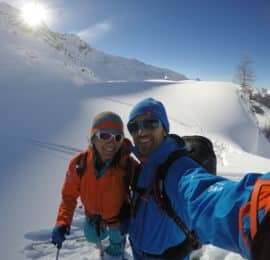 Although we all have different backgrounds and experiences, we share the same goals and projects and, more than anything, love our job and share a deep passion for the mountains. We strive to guarantee unparalleled experiences for our clients and are constantly on the lookout for new adventures. We want to provide you with intense emotions and want to be there to share them with you. We feel we've done our job when there are big, cheesy smiles on everybody's faces at the end of the day. We love to make your dreams come true! Determination and passion are our guiding principles and we hope to pass them on to you. We want to build strong, long-lasting relationship with our clients, based on the respect we feel for everyone who joins us in the exploration of this striking vertical world.